Uber, Lyft, Sidecar: Can the FTC fight local taxi commissions? Can the FTC Save Uber? Taxi commissions are crushing disruptive transportation apps. In 2007, two decades after those cases settled, the FTC noted that the taxi industry remained largely uncompetitive. The FTC staff also observed, however, that “telecommunications advances” might help to disrupt these uncompetitive markets. Today, this predicted disruption might finally be on the horizon, exemplified by companies like Uber, SideCar, and Lyft that all created mobile apps to revolutionize the ride-for-hire market. But, as before, city taxi commissions are working to stifle competition. Most recently, Las Vegas, Washington, Chicago, and Cambridge, Mass., have all tried to ban Uber, the San Francisco-based startup that connects riders to luxury black town cars and SUVs on the fly. Other cities’ ordinances are hopelessly stacked against the company. Miami’s requires impossibly expensive minimum fares ($80), while Cambridge attempted to shutdown Uber altogether, claiming that since a national standards and measurements body had not certified the company’s use of GPS technology for taxi metering, Uber was violating the law. (Cambridge relented the following day.) New York City, which last year declared Uber illegal, is now cautiously experimenting with the company but has not fully committed to allowing it to compete. Younger companies like Lyft and SideCar disrupt transportation in a different way: Anyone with a car and background check can provide rides to a willing rider for a suggested fee. These companies have faced their own issues. SideCar planned to offer rides during SXSW, the annual technology festival in Austin that helped launch Twitter and Foursquare into public consciousness years ago. But the city of Austin threatened to shut SideCar down and arrest willing drivers during the festival. SideCar responded by offering free rides and then filed a lawsuit against the city of Austin, arguing that their business does not violate Austin’s Transportation Code. 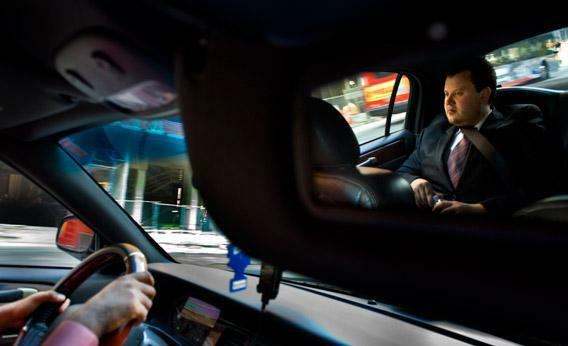 Uber, SideCar, and Lyft are not simply a fad—they are the first indications of a transportation revolution now receiving considerable venture investment. So far, these companies have battled incumbent taxi companies city-by-city, facing off against city taxi commissions that are biased against them. But the harms they’ve suffered will only continue to grow, necessitating a decisive solution, and one from a forum that isn’t effectively controlled by the taxi industry. Three potential avenues are at our disposal: the FTC, state governments, or Congress. And they should be explored in that order. It might seem odd to call for a federal agency like the FTC to take action in what appears to be a purely local issue. But not only does the FTC have the authority to take these cities to impartial federal courts and end their anticompetitive actions; it also has deep expertise in taxi markets and antitrust doctrines. By law, the FTC’s power to regulate “interstate commerce” is just as broad as Congress’, and that power is famously far-reaching, even covering the growing of plants at home for purely personal use. Here, as the agency noted in its 1984 cases against Minneapolis and New Orleans, the FTC could regulate local taxi markets merely because interstate travelers take taxis (and Ubers) to and from the airport when they fly across state lines. Moreover, Uber, SideCar, and Lyft are California-based technology companies competing in multiple states. The FTC’s general antitrust authority, however, only sometimes outranks city authority. Under the Constitution, federal law trumps both state and city law. But antitrust law allows states some exceptional leeway to adopt anticompetitive business regulations, out of respect for states’ rights to regulate business. This federal respect for states’ rights does not extend to cities—they are subject to the antitrust laws unless states pass legislation absolving them. For example, Minneapolis ended up avoiding the 1984 lawsuit by acceding to the FTC and permitting more competition. New Orleans did something different: It succeeded in lobbying the state of Louisiana to authorize its anticompetitive actions, to the detriment of consumers. Some states, including Florida, Nevada, and Texas, could argue that like Louisiana, their laws currently authorize the city governments to undermine competition in their taxi markets. Nonetheless, the FTC should test the law in these states with litigation, as the Supreme Court’s position is unsettled. Under the few Supreme Court decisions spanning the past several decades, cities can engage in anticompetitive acts only when the state legislature “clearly articulated” and “affirmatively expressed” a state policy to displace competition and replace it with an uncompetitive market. To complicate matters, the court “disfavors” interpretations of state law that permit anticompetitive city regulation, yet it still permits city anticompetitive action even it is merely a “foreseeable result” of the state law. Put all this together and the FTC can likely argue that state taxi authorizations do not foresee anticompetitive restrictions on apps like Uber and services that permit average citizens to tip one another for a ride. At the very least, Washington, D.C., is not in a state, so no state law can protect it from the FTC’s antitrust powers. But if the FTC was unable to secure a court victory against a particular state, that state’s government could intervene. States are probably not as beholden to the taxicab industry as are local taxi commissions. Their legislatures or agencies could easily either pull back any specific authority they’ve granted to city governments, or clarify that those powers are not so broad as to block communications technologies that connect users to black car drivers or to one another. Indeed, states might feel pressure to do so, lest they appear either supportive of anticompetitive policies in their cities or powerless to change those policies. While taxi companies might prefer not to face competition, they deserve no more protection from it than did horse-and-buggy salesmen in 1905 or MySpace in 2005. Like Uber, Sidecar, and Lyft, they deserve no more and no less than a fair shot in a competitive market. The FTC, states, or Congress itself should step in to make that possible, lest city governments run competitors off the road.